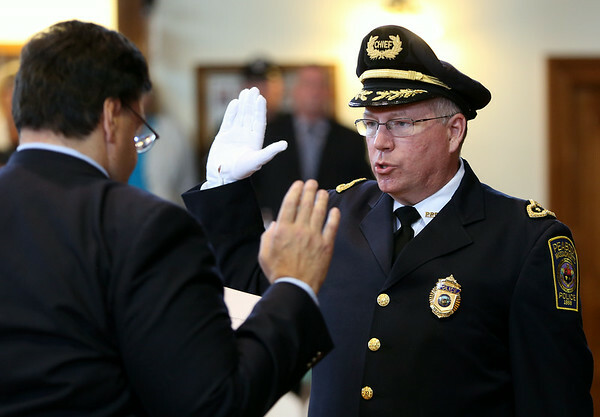 Peabody Police Chief Tom Griffin raises his right hand while being sworn into office by Peabody City Clerk Tim Spanos in the Wiggin Auditorium at Peabody City Hall on Thursday afternoon. DAVID LE/Staff photo. 7/24/14.